There comes a time in the week, or indeed the day, when you just need to sit back, relax and spend some of that hard earned money on yourself. 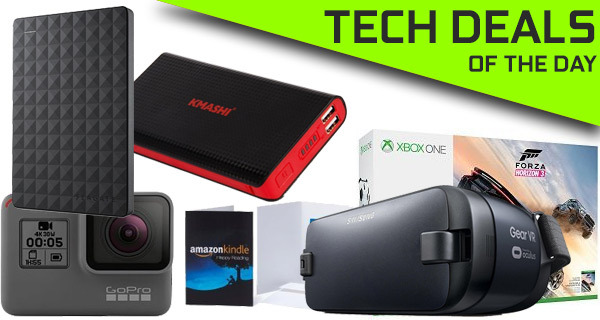 We love to bring an array of technology deals directly to your display not only to let you introduce new products into your life, but to also save money in the process. Enjoy the savings, but remember, act quickly before they are all gone. Starting off today’s deals is the GoPro HERO5 action camera which comes bundled with a free $60 Amazon gift card to add further fuel to your shopping spree. Next up is the Gear VR headset from Samsung for its Android devices discounted by over 50%. 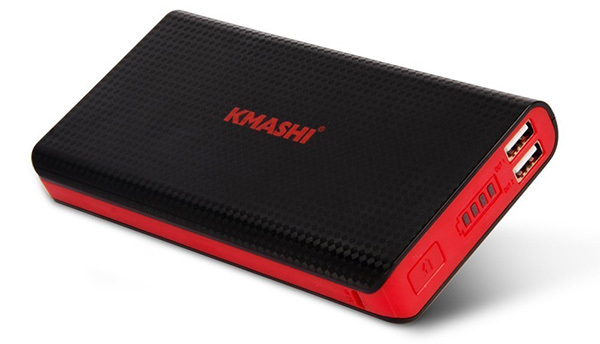 We also have a 15,000mAh portable charger / power bank battery from KMASHI up for grabs at just $12.50. If you’re looking for a portable HDD, the 4TB Seagate offering at just $70 is worth taking a look. 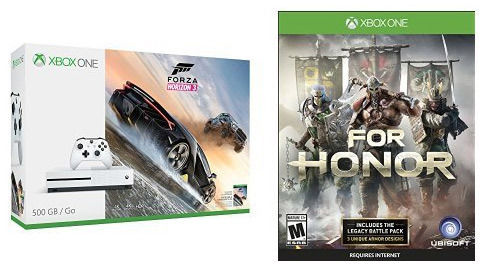 Last but not the least is a fantastic Xbox One S + 2 games bundle coming in at $299.99 only. For those who don’t know the drill, the deals listed here are available for a limited period of time only, or till stocks last, whichever happens first. So if you have picked out your choice of product, make sure you act quickly before the offers expire. So what are you waiting for? Enjoy the savings! The wonderful little GoPro HERO5 doesn’t really need any introduction. The hardware, which is fully waterproof without needing any extra housing, is capable of shooting stunning 4K video, as well as beautiful still images thanks to the 12-megapixel sensor. It also offers single, burst and time lapse modes for a wide variety of choice. It’s durable by design, the perfect companion for those extreme sport shoots, and even comes with an additional $60 Amazon gift card. The big boom at the moment is virtual and augmented reality, which is what makes devices like this Samsung Gear VR headset popular. This is by no means as powerful as an HTC Vive or similar, but it’s still an excellent and highly capable, but also affordable, headset, which can be used in conjunction with a Samsung Galaxy smartphone to view and interact with some fantastic virtual reality content. It’s small and portable, has a lovely little compact design, looks great in black and red, and it also offers an internal battery capable of holding 15,000mAh of charge that can be instantly delivered to your mobile devices when they need some additional power on the move. If you own one of these, never again will you find yourself in a position where your iPhone or iPad, or other mobile device, is beyond use until you get to a static power source. Best of all, you can grab the contraption for only $12.50 using the following promo code at checkout: CF2Z6TAT. What could possibly be better than introduce some Xbox One S ownership into your life, complete with a 500GB internal hard drive? Well, getting that console with the wonderful Forza Horizon 3 included, as well as having For Honor thrown in for good measure. That’s not only hardware ownership with the console and the included Xbox Wireless Controller, but also hours and hours of fantastic gameplay. Not to forget that Xbox One S features a 4K Ultra HD Blu-ray drive as well, something which even Sony’s top of the line PS4 Pro doesn’t have. Most of us will probably find ourselves in the position at one time or another where we need to store some documents on a drive other than our laptops or computers. Given the connected and digital world that we live in, we generally all have tons of photographs, videos and music that we just want to keep safe. Step forward this gorgeous Seagate Expansion drive with a whopping 4TB of internal storage to fulfill all those needs.